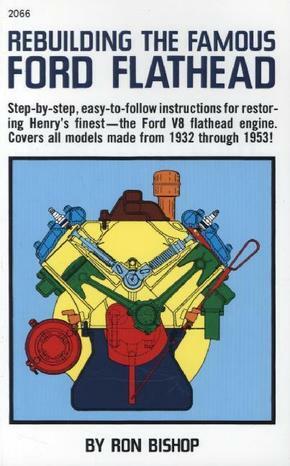 Step-by-step, easy to follow instructions for restoring Henry's finest - the Ford V8 Flathead engine. Coves all models made from 1932 through 1953! Covers the 1932 to 1953 Ford V8. Chapters include: Ford Flathead through the Years; Initial Disassembly; Short Block Disassembly; Inspection and Machining; Oiling System; Cooling System; Fuel System; Distributors; Electrical System; Engine Reassembly; Engine Start-up and Break-in; Troubleshooting Your Flathead; and Flathead Wrap-up. Pub. 1981.